The Commercial Department at air joe is here to serve all your needs, from light commercial to industrial HVAC applications and commercial refrigeration. We are a company that is committed to excellence in every aspect, from installation to service to customer care. Give us a call and let us take care of all your commercial needs. 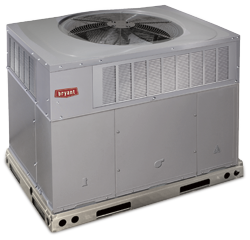 There are a number of high efficiency HVAC systems we can install for your business. In addition to lowering your energy use, they are highly reliable and durable. Our heating and air conditioning experts are able to recommend an energy efficient system that meets the needs of your business and your budget. 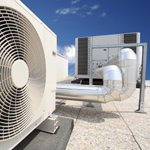 We offer a wide selection of commercial rooftop HVAC units, heat pumps, furnaces, air conditioners, ductless split AC units and much more including Energy Star systems. Call any time to ask about efficiency ratings and how we can help you save money and energy. Every commercial HVAC system occasionally need repairs, even if they are well maintained by a qualified HVAC contractor. All of our repairs are performed according to the best practices for commercial systems. While industry standards may require one maintenance visit per year, you may need more frequent visits if your system is older or you have constant repair needs. We provide 24 -hour service, so call now if you need emergency repairs. Maintaining commercial HVAC systems on a regular basis has a lot of benefits. In addition to lowering energy cost by maintaining efficiency levels, routine tune-ups can ensure safety and system reliability. Many different types of business owners have seen a steady increase in the utilities for commercial buildings, which means that scheduling routine maintenance services has become that much more important. knowing what to expect for every inspection. Call today to schedule our Heating & Air Conditioning specialist to visit your location and consult on designing a custom planned maintenance program that will fit your business operation needs.